This the static timeline. You can also view this list in a more compact data table or the interactive timeline. The Beatles changed the course of popular music in three major ways: 1) they wrote their own songs; 2) they took control of the recording process; and 3) they gave us Sgt. Pepper's Lonely Hearts Club Band. Released worldwide on June 1st, 1967, The Beatles had been off the road for almost a year and immersed at EMI Studios. That it is a conceptual album and not just a collection of songs makes Sgt. Pepper's the landmark that it is. From the jacket photo to the music on the vinyl to even the cutout inserts inside, exercising their creativity was The Beatles end game; and here, it would fully manifest. While others had attempted it, The Beatles delivered the objet d'art-a record album-that everyone wanted and would want to create. After the previous year's psych masterpiece Revolver, the first hint of The Beatles next move appeared on the "Penny Lane" b/w "Strawberry Fields Forever" single released in February. When Sgt. Pepper's Lonely Hearts Club Band arrived in June, it was their most mature statement yet, effectively raising the bar for all popular music. From the adult theme of "Getting Better" to the blatant psychedelia of "Lucy in the Sky with Diamonds," The Beatles offer their most intellectual and cohesive effort, best encapsulated in the epic track "A Day in the Life." Equally important was the reaction that their audience, and indeed the world, had to the album. In addition to burgeoning awareness of psychedelia, the album coincided with the advent of stereo headphones and was the first album to feature printed lyrics. All points connected: With Sgt. Pepper's, The Beatles and producer George Martin captured the minds and imaginations of an audience waiting to be captured. Enough has been written about this album and for good reason: British art rock starts here. 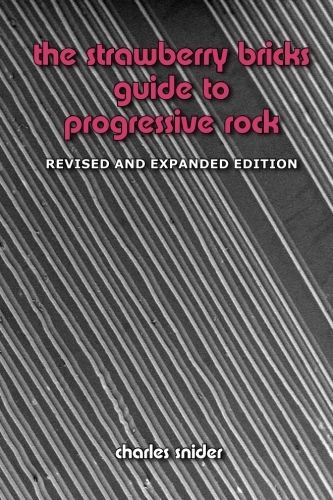 This was the paradigm under which most progressive rock was made. In late 1966, London-ordained "swinging" by Time magazine-was undergoing a massive cultural change. At the very heart of London's underground lay Barry Miles and Indica Books, the subject of The Beatles' "Paperback Writer." Along with John Hopkins, American Jim Haynes and others, Miles also launched the International Times, London's first newspaper dedicated to this new counter-culture. And it was roughly here that managers Peter Jenner and Andrew King introduced the Pink Floyd Sound to that scene. The happenings of 1967 were novel, and the music more than just the soundtrack. Built in large part upon their residencies at the Marquee and UFO clubs, Pink Floyd became the archetype of this new British psychedelic rock. Their live set, complete with a light show, progressed from deconstructed R&B to extended instrumental freak outs. The group composition "Interstellar Overdrive" illustrates the innovation of live Floyd. Compared to anything else from the era, it's completely uncanny; just check out their performance in Peter Whitehead's film Tonite Let's All Make Love in London (its title taken from an Allen Ginsberg text). However, the album, The Piper At The Gates Of Dawn, is pure Syd Barrett, as first previewed in singles "Arnold Layne" and "See Emily Play." His "Matilda Mother," the lyrics inspired in part from Hilaire Belloc's Cautionary Tales, best highlight the middle-class aesthetic of he and his bandmates. Highly literate and intelligent, the musical transcription is wonderfully inspired and, like "Bike," especially English. 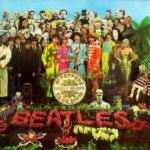 The album was recorded at EMI Studios simultaneous to The Beatles' Sgt. Pepper's Lonely Hearts Club Band, with their ex-engineer Norman Smith in the producer's chair. There's no cliché in calling the album a classic; creatively, it simply had no peer. It was also unique in that it offered no singles-they were separate from the album-in a tradition most progressive bands would follow. Produced by Joe Boyd, "Arnold Layne" b/w "Candy and the Currant Bun" rose to No. 20 in March despite being banned by "Wonderful" Radio London, while both "See Emily Play" b/w "Scarecrow" and the album reached the UK No. 6 in the summer. While Barrett appeared on two tracks on their next album, this would remain his recorded legacy with Pink Floyd. His psychological decline (precipitating an aborted US tour) led to his eventual eviction from the band and prompted his status as the preeminent poster child of the acid casualty. The members of Procol Harum suffered most of the 60s as The Paramounts, whose minor claim to fame was a cover of "Poison Ivy" that hit the UK Top 40 in 1963. They finally broke up in 1966, but by the following year had resurrected themselves as Procol Harum. Released in May, their first single "A Whiter Shade of Pale" b/w "Lime Street Blues" shot immediately to No. 1 in the UK, selling over 4 million copies. Musically adapted from J.S. 's "Air on the G String" (itself an arrangement by German August Wilhelmj), Keith Reid's surreal lyrics were delivered by Gary Brooker's somber yet soulful voice over the swirl of Matthew Fisher's Hammond organ; in short, it brought a new sophistication to pop music and deservedly earned its fortune. Next, with guitarist Robin Trower and drummer B.J. Wilson, the band regrouped (more or less) to their Paramounts' lineup to record their self-titled debut album (retitled A Whiter Shade Of Pale upon reissue in 1973). Reid, the band's full-time lyricist, and Brooker wrote most of the record, though Fisher did contribute the excellent instrumental "Repent Walpurgis." While the album itself could not match the impact of the single, it did contain some great songs: "Ceredes (Outside the Gates of)" is quite ballsy, punctuated by Trower's lead guitar, while the splendid (and splendidly titled) "She Wandered through the Garden Fence" featured more of Fisher's great Hammond organ runs. 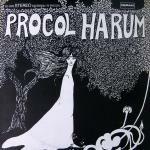 Procol Harum delivered mature R&B, not far from Traffic on the map, yet always 100 percent original. The album failed to chart in the UK, but did break into the US Top 50 where it saw an earlier release in September. Inspired by The Yardbirds, guitarist Brian Godding and bassist Brian Belshaw left their day jobs to start the Ingoes in 1964. After signing with manager Giorgio Gomelsky in 1965, he promptly sent them to Paris to hone their trade. They recorded a few singles and an EP, adding guitarist Jim Cregan along the way, before returning to the UK in 1967 to record their first album. By that time, Kevin Westlake had joined on drums, and psychedelia was in full swing. Gomelsky fashioned the band as a "cross between The Beatles and the Bee Gees" and rechristened them as the Blossom Toes. However, Polydor usurped control of the sessions, bringing in orchestrator David Whittaker and a host of session musicians to reshape the Toes' music. That said, We Are Ever So Clean is still a classic flower power record. When the album is on, it stands as some of the best music of the era. "Look at Me I'm You" kicks off, the psychedelia in full regalia, while the melodic popsike of "I'll Be Late for Tea" is infectious. As the hooks of "Telegram Tuesday" attest, Godding shines as a songwriter. His "What on Earth" is the album's gemstone, and the production couldn't be a better fit. A few tracks are a little too clever or contrived, and easily identified by their titles (and mostly written by Westlake): "The Remarkable Saga of the Frozen Dog," "People of the Royal Parks," etc. But great album or not, the band were unhappy with the sessions and Westlake promptly left the band. John "Poli" Palmer, previously in Deep Feeling, joined on percussion and vibes, but his term was short-lived. Unable to play the album live, the band's disastrous gigs ordered a rethink and a new direction was soon put to order. The album sunk with little trace, but has become a cult classic in the ensuing decades since its release. 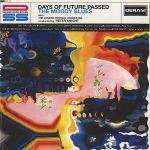 The Moody Blues were originally an R&B-inspired group who scored a UK No. 1 hit in 1964 with "Go Now" b/w "It's Easy Child." A few years later they recruited John Lodge and Justin Hayward, but it took a change to the Deram label and the purchase of a Mellotron before they'd find success again. To quote the liner notes from the album Days Of Future Passed, "The Moody Blues have at last done what many others have dreamed of and talked about: they have extended the range of pop music ...where it becomes one with the world of the classics." Rich cinematic productions were already a studio treatment du jour, yet the Moody Blues were attempting something more—let's call it symphonic rock. A dubious distinction, it reflects another tenant that would weigh heavy on prog rock: the attempt at musical respectability. Dropping the needle, the record plays out: lush orchestral accompaniments provide segue between songs, while a god-like voice recites poetry. Pretentious, of course, but one thing is certain: this isn't really rock ‘n' roll. Ultimately, the Moody Blues wrote pop tunes, thoroughly rooted in a 60s aesthetic. The second side cranks up the Mellotron and fares better, culminating in the classic "Nights in White Satin." It's a great song, and along with "Tuesday Afternoon (Forever Afternoon)," both rightly became classic tracks and FM radio staples. Moreover, the album's immaculate production is impressive for any era. So whatever the content, the right accoutrements could mean everything when speaking progressive. The album sold well, reaching No. 23 in the UK and No. 3 in the US. The Moody Blues would repeat this formula to continual success over the ensuing years. They took a rest in 1973, only to return at the end of the decade for more chart-climbing success. Taking their name from Steve Marriott's (of the Small Faces) euphemism for being high, The Nice originally formed as a back-up band for Immediate label soul singer P.P. Arnold. But the group's infatuation with Jimi Hendrix-like stage antics, manifested in Keith Emerson's keyboard histrionics, led them quickly away from the singer and into London's limelight. Guitar heroes had been around for years already, but Emerson lashed out as England's first keyboard showman. Their first single "The Thoughts of Emerlist Davjack" b/w "Azrial (Angel of Death)" flopped, though the flip side proved most inviting. 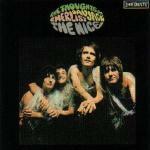 Their debut album, The Thoughts Of Emerlist Davjack, is atypical psychedelia. "Dawn" stretches out beyond pop, while "Cry of Eugene" contains that prototypical melody that Emerson would come back to again and again. The lengthy "Rondo" took its theme from "Blue Rondo à la Turk" by jazz composer Dave Brubeck (without credit) and gives a better taste for what The Nice could offer. Bassist Lee Jackson and drummer Brian Davison are a competent, if often overlooked, rhythm section, much like Hendrix's Mitch Mitchell and Noel Redding. In November 1967, The Nice joined The Move, Pink Floyd and The Jimi Hendrix Experience on a tour of the UK, further cementing their reputation as a premier live act. Guitarist David O'List departed later in the summer, as sessions for their next album were just underway. The band remained a trio thereafter, giving Emerson ample room to flaunt his considerable talent. Though the album didn't chart, its impact was not diminished: The keyboard would become one of the distinguishing trademarks of prog rock, and Emerson its first superstar. Even "traditionalists" like The Rolling Stones werenot impervious to the wave of psychedelia that swept London in 1967. Unfortunately for the Stones, this also included numerous drug busts, beginning with Keith Richards's home in Redlands, Sussex in February, and later, Brian Jones in May. The group managed to tour Europe in late March and April, returning to London to deal with legal issues, and the recording of their next album. Sessions were protracted over the next six months, to the point that original manager and producer Andrew Loog Oldham took his leave from the band. 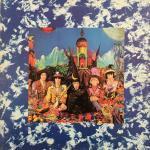 Released in December 1967, Their Satanic Majesties Request is an album flush with experimentation: every device-from a song's composition and arrangement, to the instrumentation the band utilizes on each track, to the recording techniques employed-was pushed to the limits of their ability, all to further the Stones' progression of sound. Of course, whether it worked or not is the album's ultimate judgement; however, poor-man's Sgt. Pepper it certainly is not! Session man Nicky Hopkins guests on the album, judiciously adding his keyboard talents throughout the record. 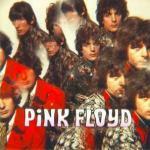 The melody of "Sing This All Together" begins the record, and is simply infectious, though its arrangement is scattershot; "Citadel" goes for heavy rock (successfully), while the harpsichord and verse of "In Another Land" are reminiscent of Pink Floyd. The near eight-minute "Sing This All Together (See What Happens)" is either the epic psychedelic jam, or a drug-addled attempt at one. The jagged string arrangement of "She's A Rainbow," courtesy of John Paul Jones, offers an uncomfortable edge to an otherwise excellent tune. "Gomper" rides over a tabla rhythm and more of Hopkins's keyboards as it drifts off into a psychedelic trance, followed by the fierce Mellotron of "2000 Light Years From Home." The album rose to No. 3 in the UK and No. 2 in the US, but was mostly dismissed in the press. Whatever the verdict, the Stones would never travel this path again. Returning to their purist rock ‘n' roll roots, they would soldier on for decades, earning the honor of "the world's greatest rock ‘n' roll band" along the way. Steve Winwood was known for his blue-eyed soul with the Spencer Davis Group, and songs such as "Gimme Some Lovin'" and "I'm a Man" were the last in a string of hits from the group. By 1967, Winwood was out on his own, engaging some friends from his native Birmingham to form Traffic. They retired to the proverbial "cottage in the country" and created the first of two records that, along with Pink Floyd and The Jimi Hendrix Experience, would best characterize Britain's answer to America's acid rock: psychedelic rock. Their debut album, Mr. Fantasy, takes The Beatles' approach to great pop songs and adorns it with a palette straight from the era: Mellotron, sitar, lots of acoustic guitar, children's voices, etc. But into all of that, the band infuses a wide spectrum of influences; whether the raucous honky-tonk of "Berkshire Poppies" or the bluesy jazz of "Giving to You," Traffic is highly original and above all, rock ‘n' roll. Yet Winwood never loses sight of his R&B roots; just witness "Coloured Rain" and "Smiling Phases." The title track is perhaps the highlight, a preview of what the band could (and eventually would) deliver. Drummer Jim Capaldi and flautist/saxophonist Chris Wood provide ample support throughout; however, Dave Mason would prove to be a foil to the progressive experiments, leaving (but returning) soon after the recordings. The album made the UK Top 10, as did the singles "Paper Sun" b/w "Giving to You" and "Hole in My Shoe" b/w "Smiling Phases" earlier during London's Summer of Love. 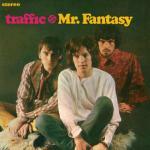 1968 saw the whole trip repeated with the band's self-titled second album, Traffic. Although the album included two of Mason's finest compositions, "You Can All Join In" and "Feelin' Alright," only the latter would be issued as a single. Still, the album would again reach the UK Top 10 and even breach the US Top 20. But by 1969, Winwood disbanded Traffic to join the supergroup Blind Faith with Ric Grech, Ginger Baker and Eric Clapton.